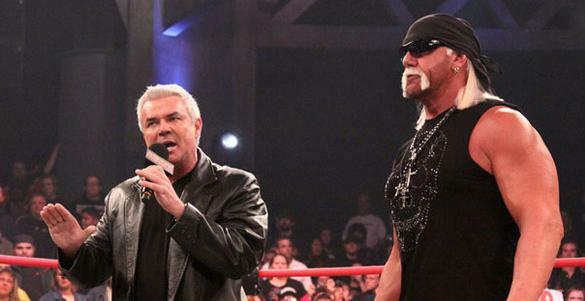 A bit of news regarding TNA and the future of the company. TNA’s social media accounts as well as TNA President Dixie Carter’s all went dark as a timer started on their website counting down to a big announcement of some sort. For TNA fans, it’s the announcement that they’ve been hoping for. It was announced today that TNA have managed to seal a new television deal with Pop.TV which will begin on January 5th 2016. This is obviously such a huge boost for TNA as they’ve managed to secure a new deal with their time at Destination America coming to an end. It was wondered whether TNA could survive without the TV deal but as it turns out, they were able to get a deal together. The new day for TNA is Tuesday which I actually think works out for the best as there’s no other wrestling on TV that day I think. On Wednesday, they had competition from ROH and NXT. At least here, they don’t have to worry about needing to counter-program. 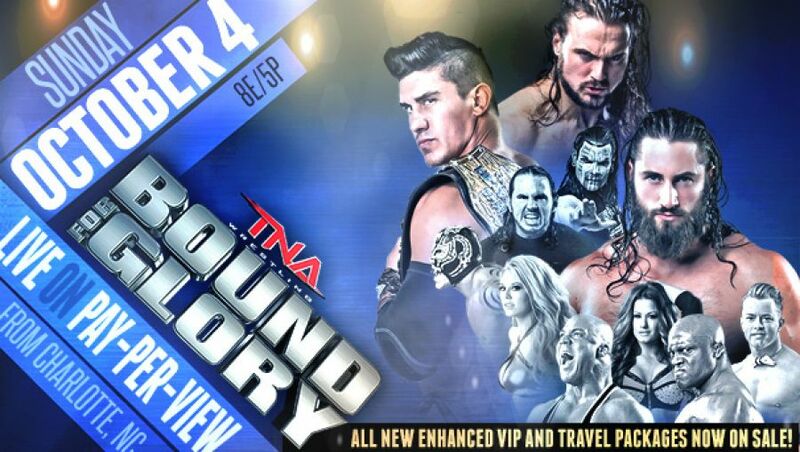 I do question the decision for TNA to be two hours long as I’m more of a fan of one hour wrestling shows than two. Three hours of RAW is an even greater struggle! It’s good news for the wrestling industry in general as it gives wrestlers more of an incentive to stay in TNA and for more sponsors and partners to get involved. I would never wish for a wrestling company to go out of business at all and I am all for this deal going down. A lot of people will say that it’s just prolonging the inevitable but this does give TNA a lot of opportunities to seriously go through the roster and having a serious revamp to make sure that they’re at least more prepared if a similar deal of losing a TV contract happens again. It may keep them going for a while but Dixie and the rest of those running the company cannot rest easy. It’s not all rainbows and sunshine just yet. It’s funny that TNA’s deal was spoiled an hour before the countdown hit zero as the video was suddenly changed from “private” to “unlisted” which meant that a YouTuber was able to save the video before TNA changed it in time! Bit of a blunder but at least the deal is out there now! I do have a problem with a lot of the criticism given to Dave Meltzer over his reporting of the whole deal as he was the first to initially report that Destination America was not renewing Impact. Eric Young came out and tweeted on previous reports about Impact not being renewed by Destination America. I really don’t think this was the right route for Eric to take. As a former Multimedia Journalism student in my own right, I don’t think there was anything fishy about the report Dave wrote about TNA. Dave was actually the first to report about TNA getting the deal with Destination America and he’s an esteemed reporter with many years of experience and knowledge on wrestling. Eric going out on Twitter, trying to rub it all in and taking shots at reporters is just not going to make the company look good in the eyes of the public. A lot of the wrestlers are taking the high road and just talking about how great the deal is and how big a breakthrough it is for TNA. Rockstar Spud actually came out in defence of Dave on Twitter. So big news for TNA and this I think would at least keep the company going for a bit longer and give them time to come back stronger than ever. I’m all for this and I wish that they use this new deal wisely. Continuing on the NoDQ.com awards posts! Sorry I haven’t posted in a couple of days. I’m a bit behind… FEUD OF THE YEAR! A problem with a lot of these feuds that they were either good but very short or boring and far too long. Punk/Heyman went on for way too long and just began to get boring as Ryback got brought into the fold. Rock vs Punk was an alright feud with some great verbal exchanges between the two, but their matches were awful. Bryan vs Orton was brought down badly by the staleness of their matches and the involvement of the Big Show which quite frankly was uncalled for. AJ vs Bully Ray was ruined by Dixie Carter’s involvement, The Shield and Team Hell-No’s feud was something which was carried on from the year before and although the matches were good, the feud just became all about Daniel Bryan which affected the other members of the feud. The Rhodes Family vs The Authority were really good but it was ended too early and I wish this had continued further. The feud which I prefered the most and will give the award to was the Rhodes vs Authority but it doesn’t really seem to be a proper Feud of the Year if you know what I mean. There were no real feuds this year that really stood out and these were all very short feuds except for Punk vs Heyman. WWE and TNA seriously need to improve in this area.